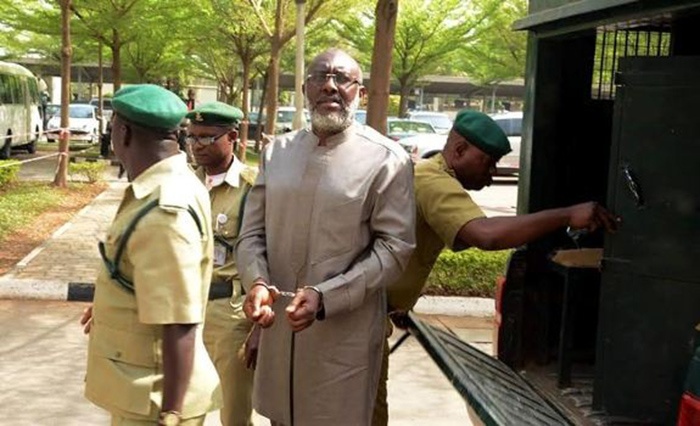 Olisa Metuh, the Publicity Secretary of Nigeria's opposition party, People Democratic Party, PDP, appears in court and in cuffs, on Tuesday. His case of having collected money from a former National Security Adviser, NSA, is about argument for bail and has not been convicted. The court has granted him bail, but he is yet to fulfil the condition for the bail. A news report said a prison warder decided to put him in cuffs for his safety and to prevent his escape.